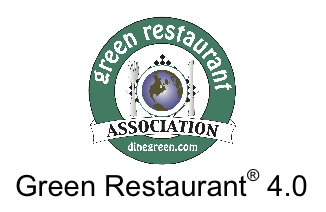 Horace Mann School's Food Service Program is certified by the Green Restaurant program. Balance is a wellness program that promotes healthy food selections, active living and delivers information and decision essentials that enable our school communities to make knowledgeable choices and support healthy lifestyle behaviors—now and for the long-term. Our culinary trained chefs prepare foods from fresh ingredients, limiting the use of processed foods and avoiding artificial colors, flavorings, M.S.G. (monosodium glutamate), preservatives or trans fats. We only purchase meats graded choice or higher, and our fresh ground beef and hamburger is 80% lean. Where space and facilities permit, we roast our deli beef and turkey on-site. To support the communities of which we are a part, we make every effort to use seasonal fruits and vegetables grown by local farmers. This dedication to fresh, healthy cooking lets us meet a wide range of nutrition requirements and standards, including Vegan, Vegetarian, Orthodox Kosher and Hallal. We also provide a full range of exceptional catering services. A few items you will never see on the menu: instant mashed potatoes, prepared convenience foods (i.e., cheese sauce, tomato sauce), frozen vegetables (except corn and peas), or high-risk foods associated with food borne illness (i.e., steak tartar, egg-based custards). Exploring Diversity Through Foods The goal of an education is to expand a student's intellectual horizons, and at Flik, we use the foodways of different cultures to bring other parts of the world into your dining room. Through a monthly food focus on an unfamiliar cuisine that we promote through our menus, we keep our dining options fresh and your students excited. In addition, we set up a themed food booth once each semester in the dining hall that educates students about the culture they are sampling. This traveling exhibit teaches students about a new cuisine through brochures, recipes, and cultural background information. Another area of culinary diversity we introduce to your students is the art of selecting and preparing healthy foods. With cooking demonstrations, recipes, and take-away information, we demonstrate how nutritious foods can also be fun and delicious. Corporate Social Responsibility At Flik, we look for opportunities to make a difference in the lives of our customers through our steadfast dedication to nutrition and healthy eating. With these opportunities, however, comes a set of important responsibilities. As part of Compass Group, a global company, we are acutely aware of the impact our operations have, both on the communities in which we do business and the environment we share with one another. Incorporating our SEED program in school communities, allows us to act responsibly and is an essential part of our vision and values. We are proud of our collective efforts to make this world a better place! Sustainable Oceans Seafood Watch is a program of The Monterey Bay Aquarium designed to raise consumer awareness about the importance of buying seafood from sustainable sources. They recommend which seafood to buy or avoid, helping consumers to become advocates for environmentally friendly seafood. We have been a part of the program since 2006 and all of our seafood is purchased in accordance with the Monterey Bay Aquarium's Seaford watch guidelines for sustainability. Flik is committed to protecting the threatened global fish supply. Our seafood choices allow fisheries to flourish over the long-term without jeopardizing the fish population or the surrounding ecosystem. Certified Humane/Cage Free Eggs Because of our commitment to the humane care of farm animals, we offer only Humane Farm Animal Care (HFAC) certified cage-free shell eggs nationwide. Poultry produced without the routine use of human antibiotics The non-therapeutic use of antibiotics in animal production is a growing public health concern because it decreases the effectiveness of antibiotics to treat diseases in humans. Therefore, we only serve chicken that has been produced with restricted use of these drugs, especially as a growth additive in feed. Our contracted suppliers are required to provide products which adhere to specific criteria developed in partnership with The Environmental Defense Fund. rBGH Free Milk Science and experience has clearly demonstrated that the use of artificial bovine growth hormones in dairy cows is detrimental to the well-being of the animal. The medical community has expressed apprehension that the use of these hormones may also be harmful to human health. Due to these concerns, we serve only fresh fluid milk from cows that have been certified to be free of the artificial growth hormones rBGH/rBST where available and commit to a 100% implementation by 2010. Social and Ecological Certified Coffee Coffee production can have a tremendous impact on the social and environmental well being of the countries where it is produced. Responsible production methods are certified in a variety of ways including fair trade, organic and others. We encourage our clients to offer Fair Trade coffee brands. Food Allergy Initiative Food allergies differ from other allergies because a minuscule amount of the wrong food can be fatal. It is estimated that 11,000,000 Americans are affected by food allergies each year. In fact, last year over 30,000 of us visited an emergency room because of an allergic reaction to a food. 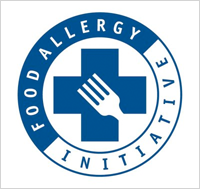 The Food Allergy Initiative (FAI) is the first organization dedicated to a strategic, comprehensive, multi-disciplinary approach to protecting those at risk. 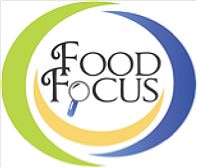 As an allergen aware food service provider, Flik supports the FAI's mission to raise public awareness about the seriousness of this problem. We work closely with schools in helping them develop and implement a safe dining environment for all students. ServSafe In partnership with the Educational Foundation of the National Restaurant Association, all our chefs and managers participate in a company-wide training effort known as ServSafe. This internationally acclaimed process deals with serving food safely and providing a safe workplace. To teach the FDA- and USDA-embraced approach to food safety, as well as HACCP regulations, ServSafe takes participating Associates through a series of classroom lectures, videos, group discussions, and hands-on training. Course graduates are recognized by the National Restaurant Association, and become active members of the Educational Foundation's International Food Safety Council.